The list goes on and on... but mainly i was with Jon, Hao Wei, Paul and Sean... the past few weeks we've all been spending quite some time together as we were all quite free, went on for a shoot at KTM KL Station, Port Dickson Road Trip, Supper, Lunch and many more for the past few weeks...fuuhh!!! 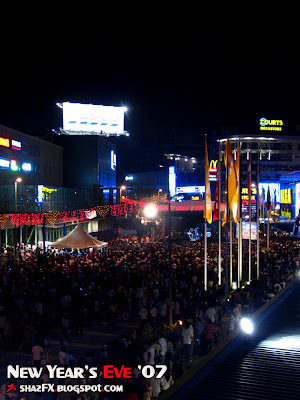 Mutiara Damansara packed with people here for the New Year's Eve Celebration!!! We were at Starbucks with Sam, Jon, Jonathan and few others... Jon can create such funnyy faces anytime! Aiyoo.. this fella..
Mandy has been busy and lost touch with her for a short while but we've been in constant contact! 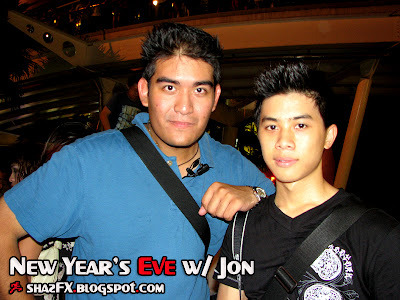 Here's Jon and Me... taken here right after the fireworks!!! 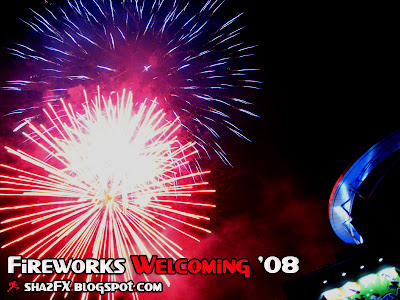 Wahhh..we had to run here and there for the fireworks!!! 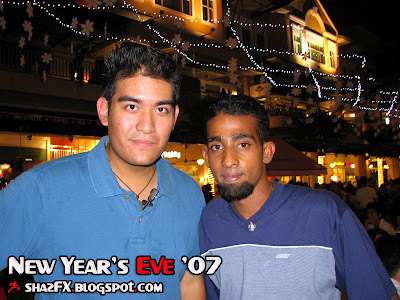 Ramaesh, know this guy from RIKL - Raleigh International Kuala Lumpur. It's been a long time since i last heard from him!!! Ahh.. Sandra and Grace was here too!!! :) Sandra our event photographer!!! We were on a bridge in the middle of the Curve, waiting for the countdown!!! We were here with our tripods with Paul, Sean and Jon!!! Royale Bintang Hotel organised a few parades here for the Countdown party and they were the ones who sponsored the countdown concert right outside! 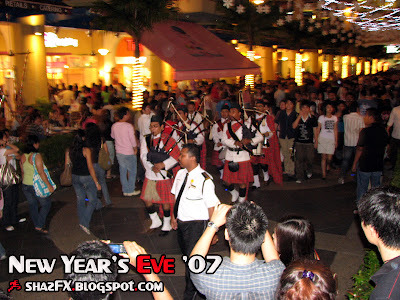 Thus explain this troop of local Malays dressed in some Scottish uniform... err so not original!!! 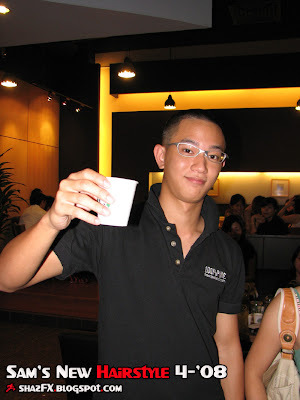 Here's Wei Hui, Long time no see... used to be my kaki Shisha :P Mwahha... there was that once la! 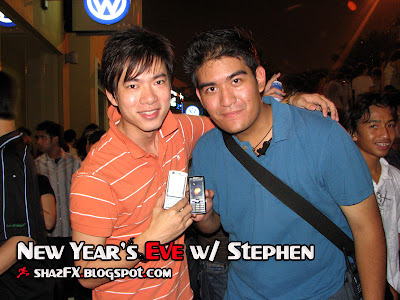 Stephen Lim and Myself... what you are suppose to be able to see on our mobile phone screens is the number 2008.. 2 digits on each screen! Mwahah...!!! Sean and Paul makes SeanPaul!!! Mwahaha.. Mr Lova lova...!! BOMBASTIC! Hao Wei and Mahzrin (Jack's Cousin) was here too!!! 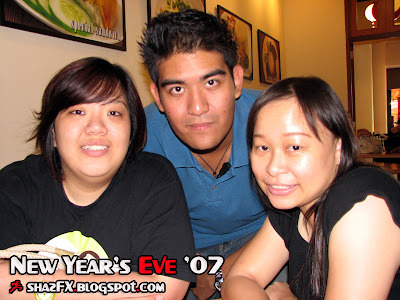 We all had dinner here at Winter Warmers @ the Curve. Anyone wanna try to make such face like Jon... mwhahaha!!! go ahead!! So far he's the only one i know that can make such different faces all day long! 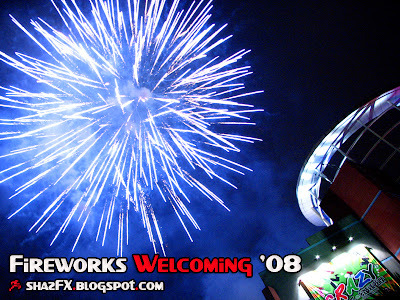 Some of the fireworks at the Curve welcoming us into 2008!! This one was so BLUEEE!!! 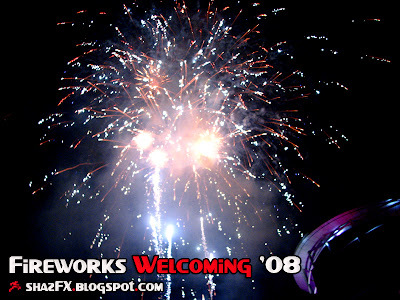 The fireworks was delayed by a few minutes after midnight... thus many people went back home! 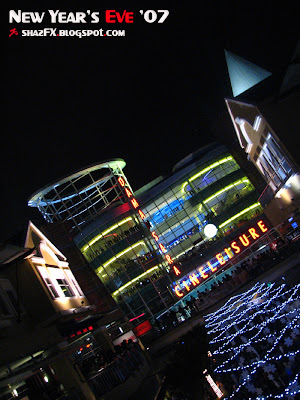 Imagine if the firework actually fired up and came back down to us here at Curve!!! 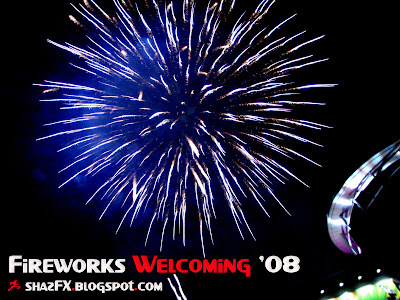 Welcome 2008, good bye 2007!!! 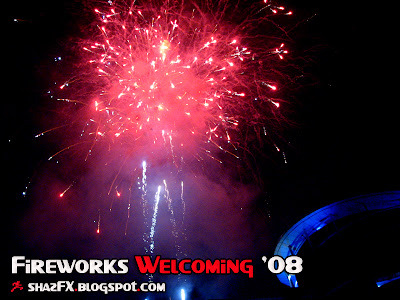 I like this bluey firework...nice nice!!! Oh yea... last but not least... a pic of Jonathan and Rachel! 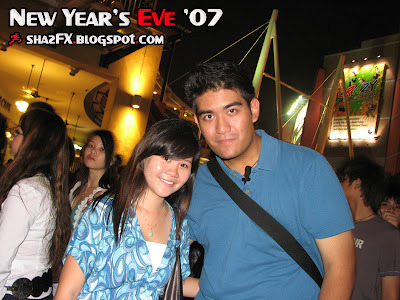 Met up with Rachel in the late afternoon but never got the chance to take such pic! :) Happy New Year everyone!! !